This is a fun holiday science experiment to try at home using simple ingredients. 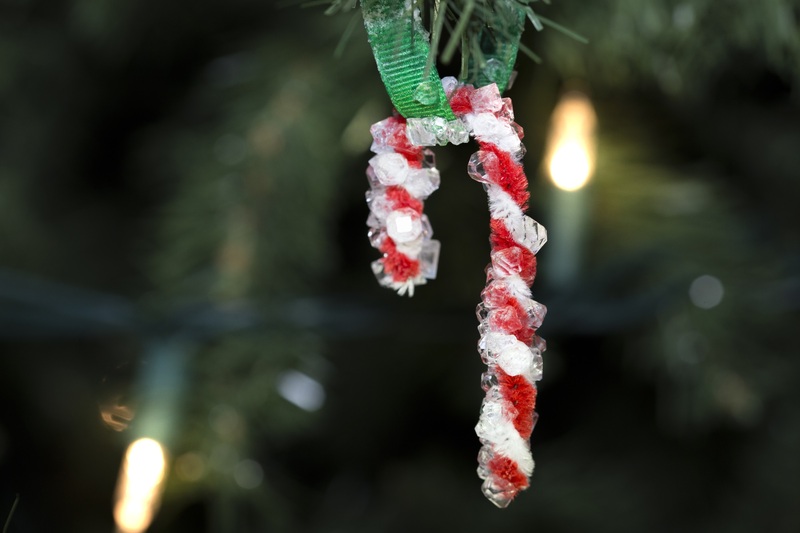 These crystal candy canes make great tree decorations or gifts! Wear gloves to protect your hands from food colouring and when handling alum (don’t eat it – that’s gross!). While every reasonable effort is made to provide experiments that are safe, adult supervision is recommended at all times when experiments are performed. Safety gear, such as gloves and glasses, may be required. Pipe cleaners – we used green, red and white! Twist two pipe cleaners together to make a candy cane shape. Depending on the size of your jar, you may want to cut your pipe cleaners in half. Cut about a 4-inch piece of ribbon and tie the ends into a knot. Pour 2 cups of very hot water into the jar. Add ¾ cup of alum powder into the water. Stir until completely dissolved. Let cool for 30 minutes. 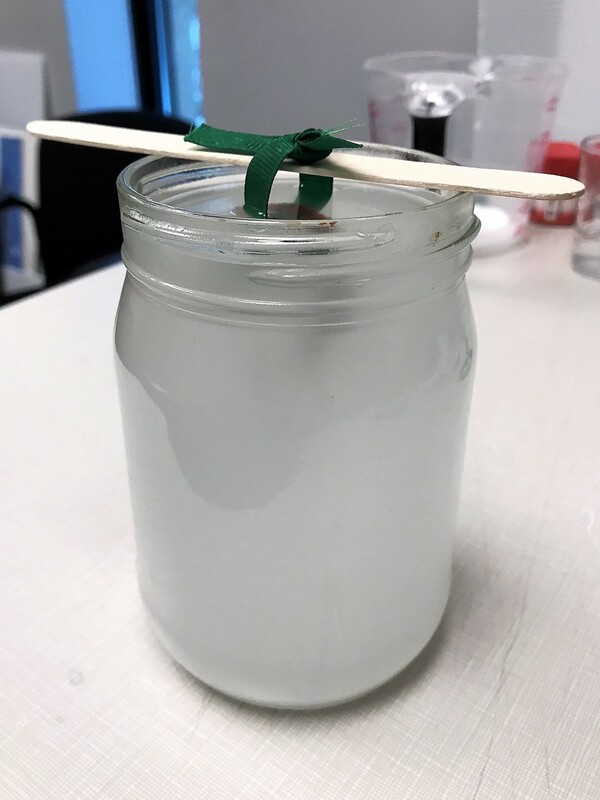 Gently lower the candy cane into the jar, letting the wooden craft stick sit on the jar’s rim. Carefully remove the crystallized candy cane from the solution and let it dry on paper towel. Done the experiment? Download your Honourary Scientist Certificate! In this experiment, the alum powder acts as the source for the crystals that grow on the candy cane. As the hot alum solution cools, the alum powder settles to the bottom of the container and begins crystallizing on the candy cane. Geologists and engineers at SRC look closely at rock samples to find out what they contain and if they have any minerals, such as diamonds, gold, uranium and potash. This information helps mining companies decide whether they can start mining for more or need to keep looking in other places.